The Laundry Room is Charlotte’s one-stop-shop for your laundry needs. In addition to our specialty Wash & Fold service, we offer professional dry cleaning and laundry delivery services through our partnership with 2ULaundry. Drop by or call us to talk to us about our laundry services. 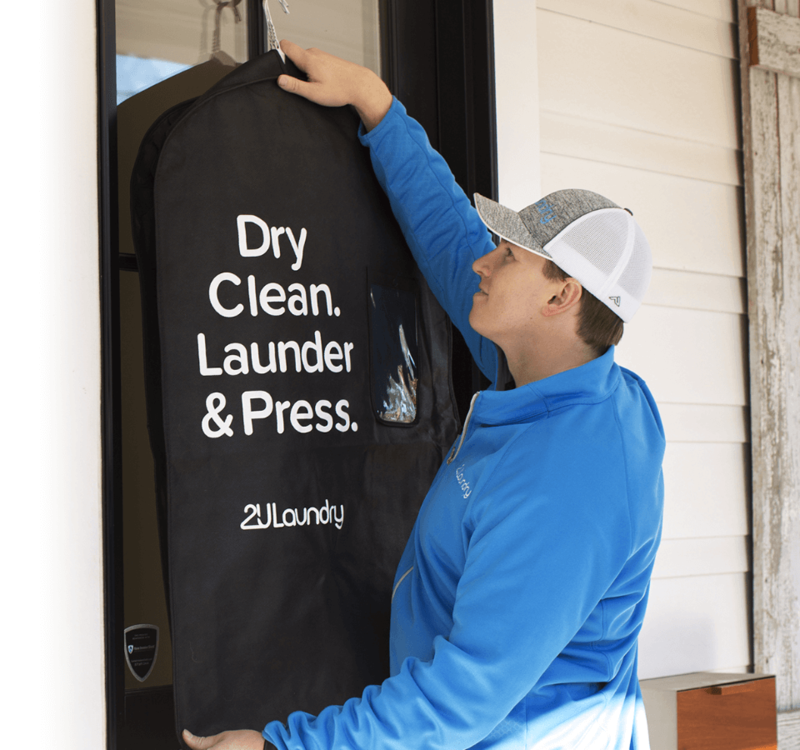 We’ve partnered with 2ULaundry to provide The Laundry Room customers with first-rate laundry and dry cleaning delivery services. Are you looking for the most convenient laundry solution? Well, we’ve teamed up with 2ULaundry to provide it. All your clothing will be picked up, cleaned to your exact preferences, perfectly folded, then dropped off the very next business day. We even offer a hang dry option! Prefer to have your items dry cleaned? We’ve got you covered. 2ULaundry’s team of experts will remove stains and odors and have your garments looking flawless. You get the best dry cleaning service in town, and you don’t even need to visit the store. Don’t forget, all of 2ULaundry’s services include free pickup and delivery. After you create your account, simply schedule a pickup through the website, email, or even text message and watch the magic happen. Your clothes will be picked up, cleaned, and delivered all in one business day.